Like millions of other Con Ed customers, New York magazine's offices in lower Manhattan were without power last week in the wake of Hurricane Sandy. On Tuesday, they set up an "improvised newsroom" in midtown: "32 editors, photo editors, designers, and production specialists squeezed around a conference-room table, down the length of which snaked a tangle of power strips, extension cords, and chargers resembling similar arrays sprouting across the city." 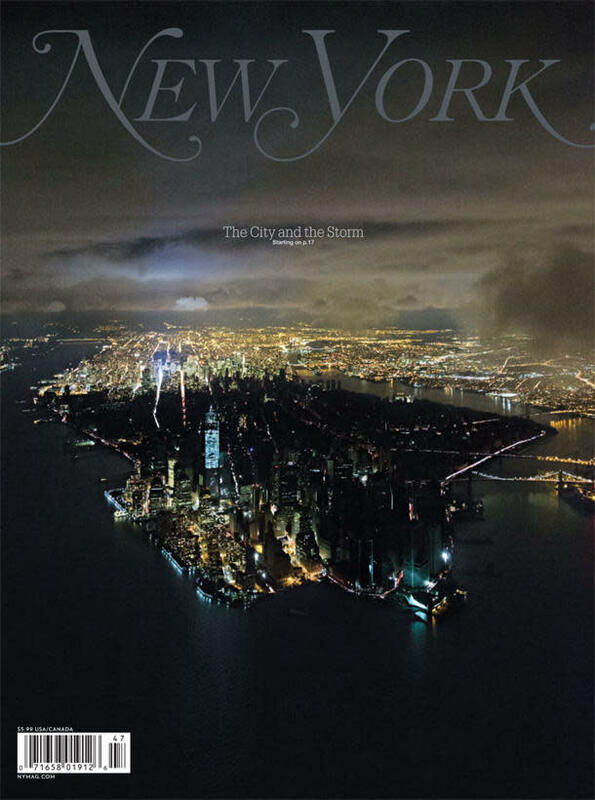 They spent the next three days scrambling to produce their weekly magazine, which includes a powerful cover photo, shot by photographer Iwan Baan on Wednesday night, of a partially—and eerily—darkened Manhattan with the coverline "The City and the Storm." According to the editors' note, it was the clear choice for the cover "for the way it fit with the bigger story we have tried to tell here about a powerful city rendered powerless." Bloomberg Businessweek took a slightly different tack with their Nov. 5 cover. 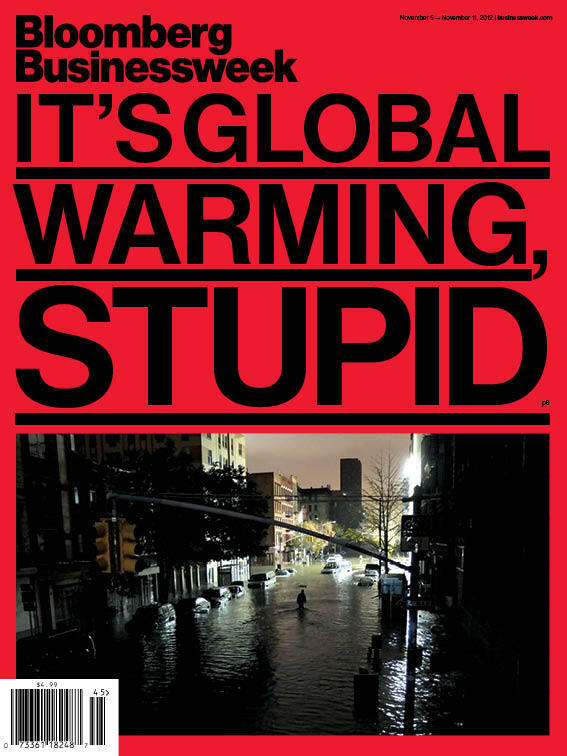 The coverline: "IT'S GLOBAL WARMING, STUPID." "Our cover story this week may generate controversy," Bloomberg Businessweek Editor-in-Chief Josh Tyrangiel wrote on Twitter, "but only among the stupid."